Floral Snowflake Brush Pack - Free Photoshop Brushes at Brusheezy! Looking for a winter snowflake brush pack with a little edge for your next design? We've got the perfect pack for you! This new Floral Snowflake Brush Pack is filled with twelve different symmetric snowflake brushes with an organic and floral element, perfect for so many winter-y and holiday designs! 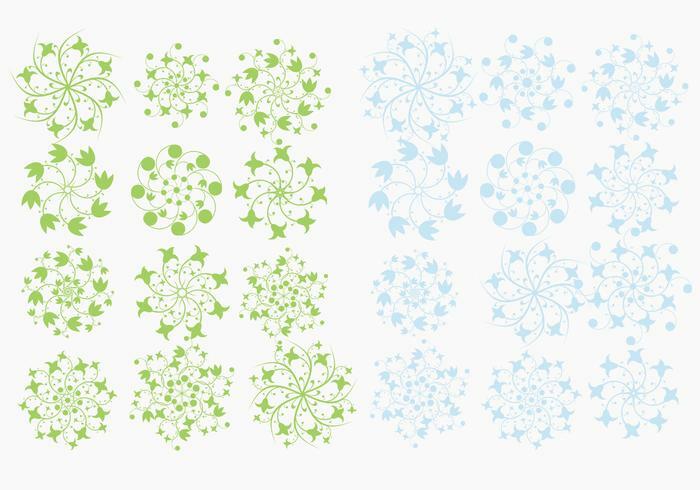 Head over to Vecteezy for the vector pack and download the <a href="http://www.vecteezy.com/Holiday-Seasonal/38395-Floral-Snowflakes-Vector-Pack-/premium">Floral Snowflake Vector Pack</a>!